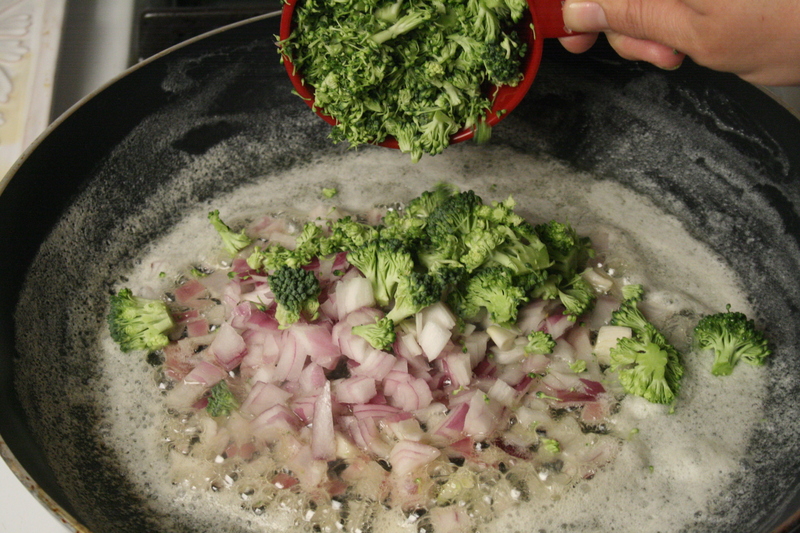 Broccoli Cream Sauce for a Shrimp skewer. 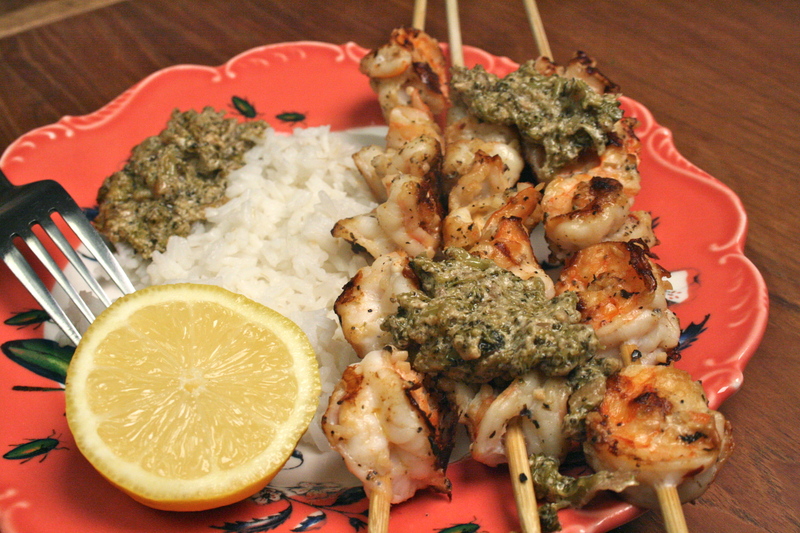 I’m such a sucker for a nice cream sauce, especially when it’s drizzled over shrimp…. OH YEAH! Tie my hair up, give me a napkin and listen as silence overpowers the room. 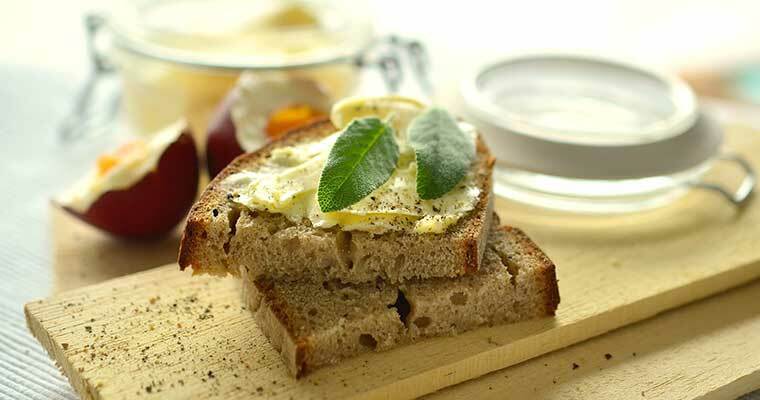 Only chewing noises will reach your ears and you will see the face of a happy gal as I relish every last morsel of my plate….. Here’s a recipe you can do the same with. 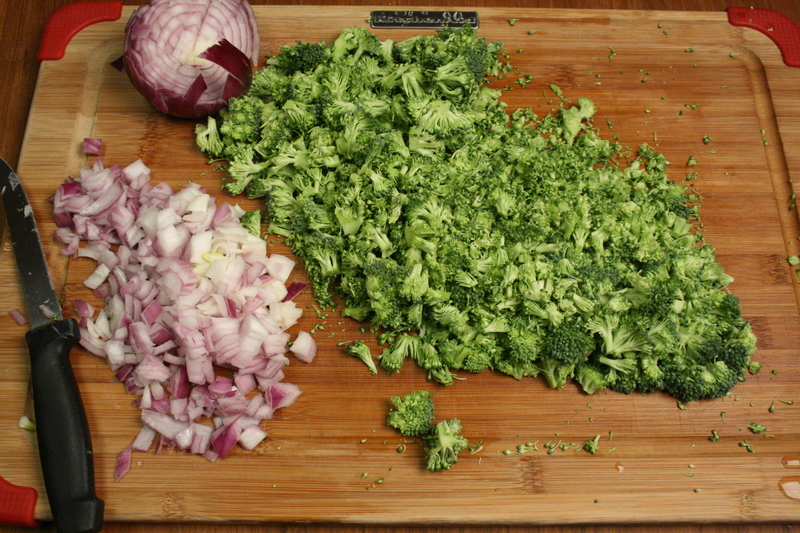 Chop red onion into small cubes, and trim the heads off the broccoli. 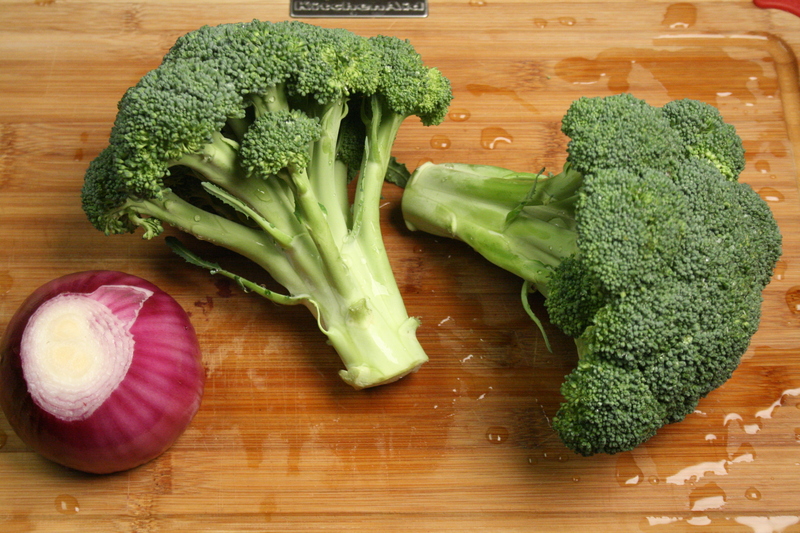 Then take the broccoli heads and dice really small. Place to the side. In a large frying pan over a medium high flame…. 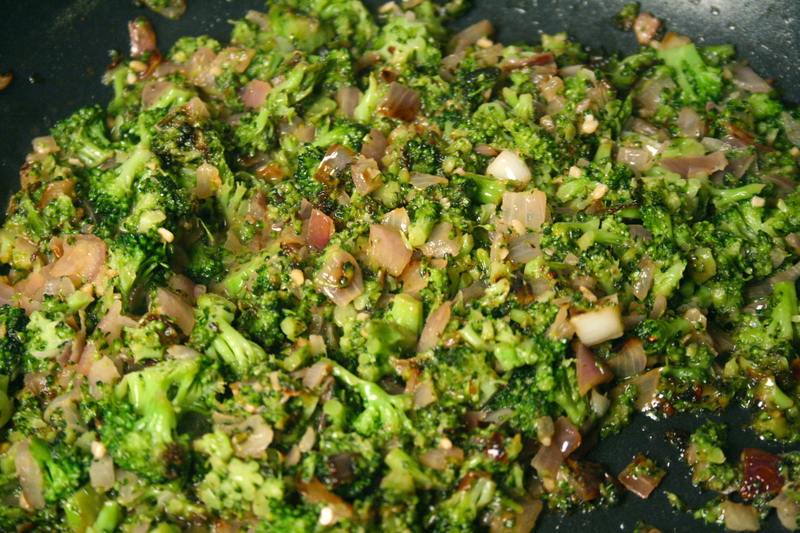 Melt your butter, then add onion, broccoli bits, and garlic. 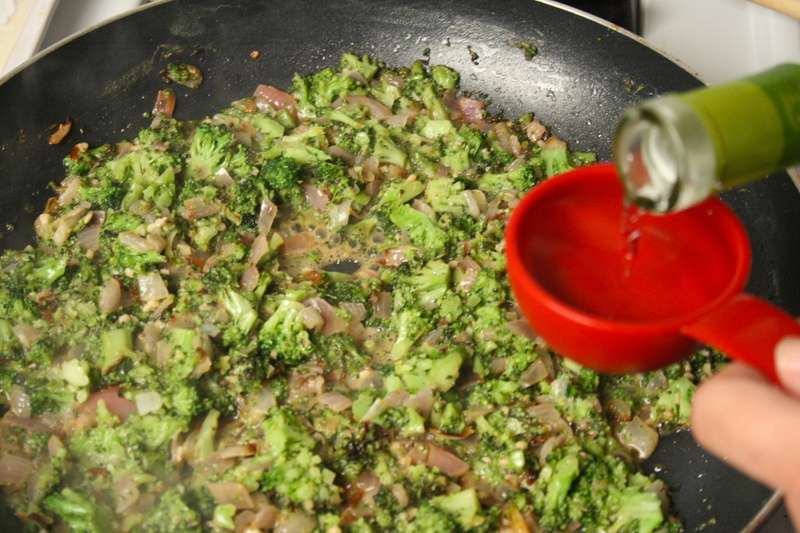 Mix well until all butter is absorbed and continue sauteing for about 10 minutes. Then add in sauvignon blanc, and let that reduce for about 10 to 15 minutes. 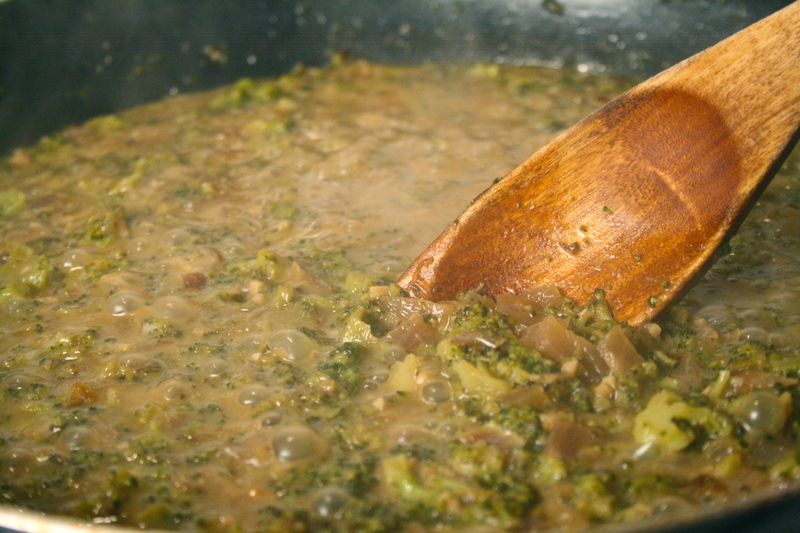 Next pour in the vegetable broth, and continue to reduce for about 20 to 25 minutes or until most liquid is evaporated. 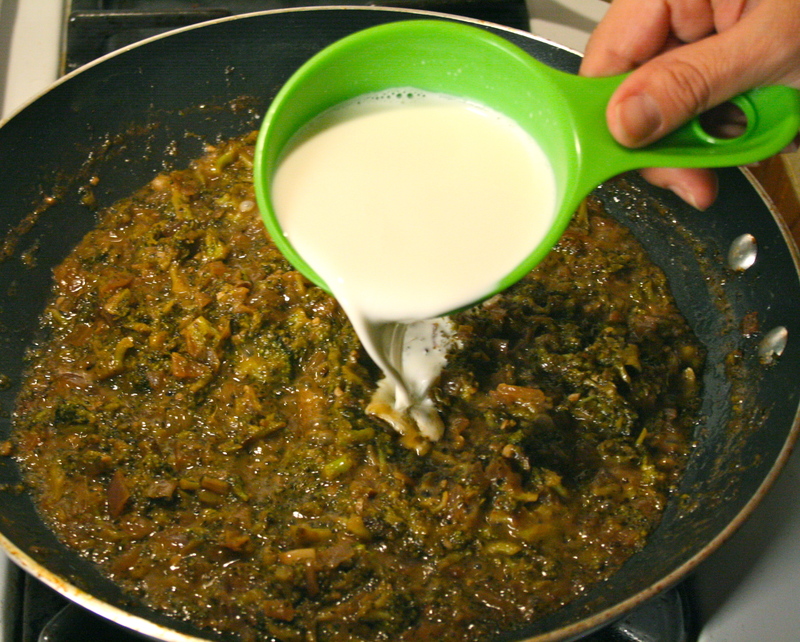 Once it starts to look a bit murky… then add in the 1/2 & 1/2, and lower the flame a little…. let it simmer for about 20 to 25 minutes. 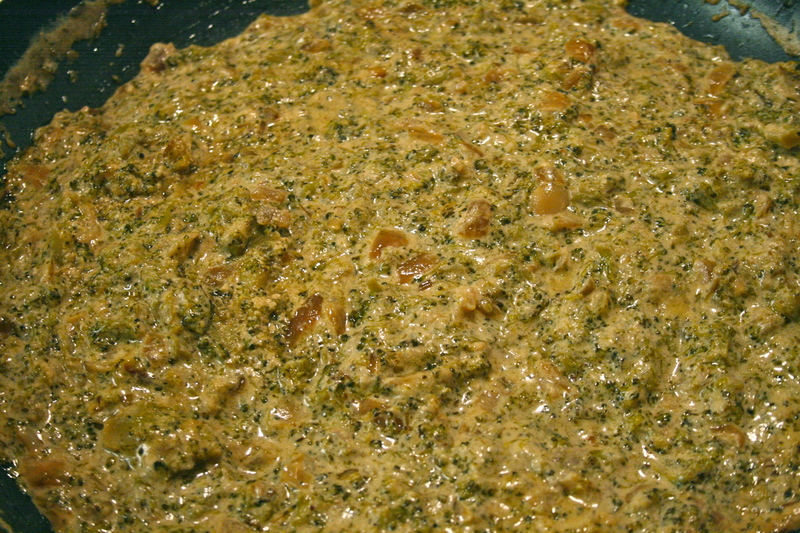 That’s it the broccoli sauce is done. Mix all ingredients in a bowl. Let marinate for a 20 to 30 minutes. 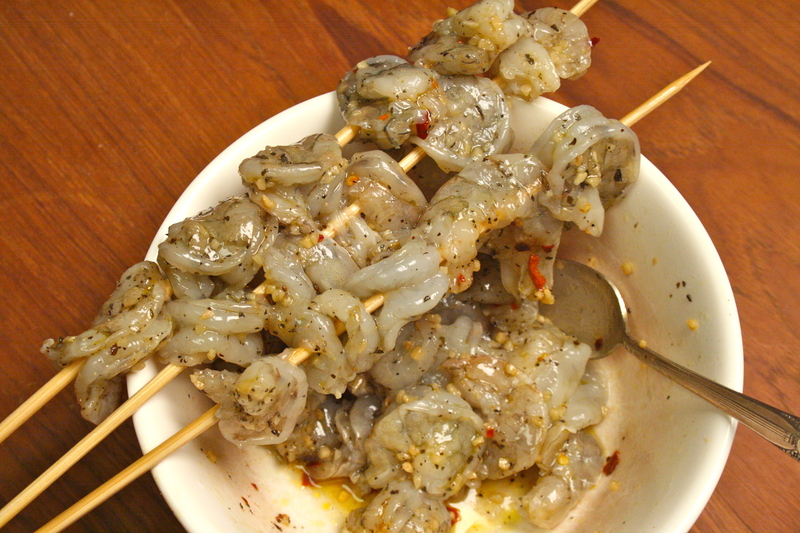 Then string shrimp on skewer…. 5 per skewer. 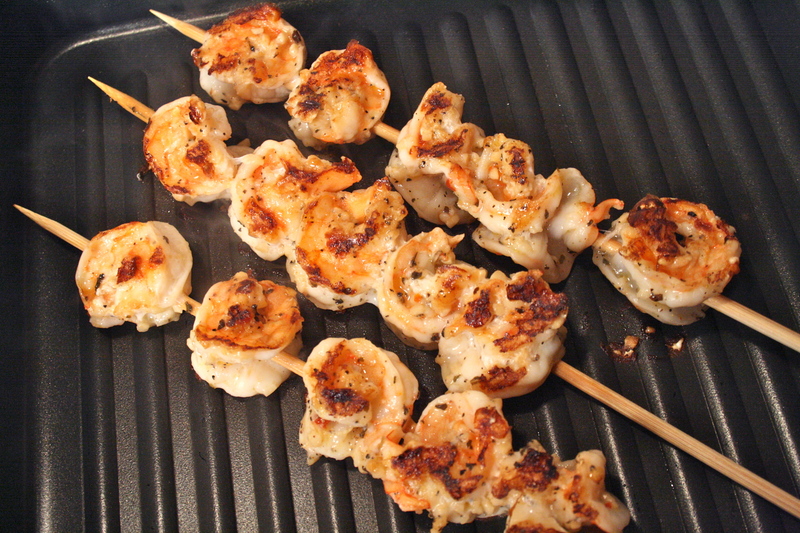 On a hot grill add shrimp skewers and cook on each side for 5 minutes or until perfectly pinkish. 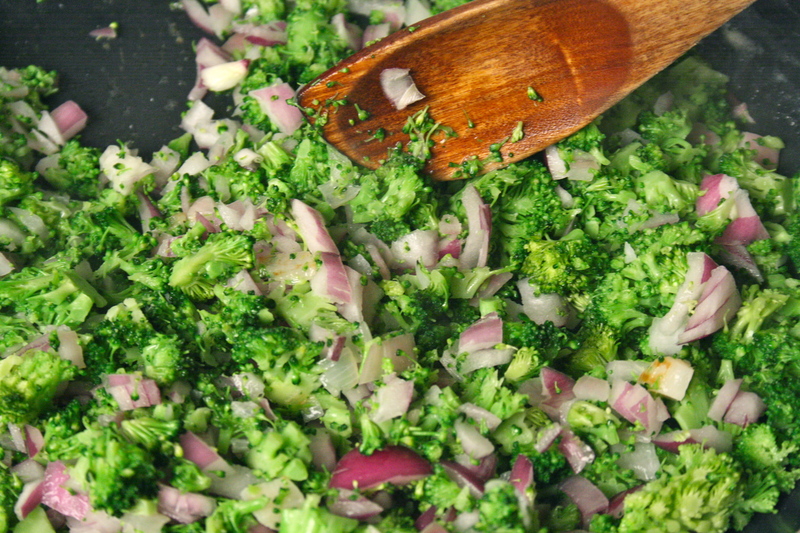 Then serve on a plate with steamed rice, a wedge of lemon, and a nice serving of broccoli sauce. Your tastebuds will thank you. My Shrimp Tater Tacos make Lent the best time of year. wow does this ever look goooooood! Mmmmmm. Tanks for sharing!